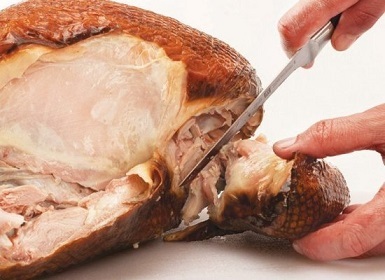 "How to Carve a Turkey " is a page I built after I wrote an article on "How to Cook a Turkey." 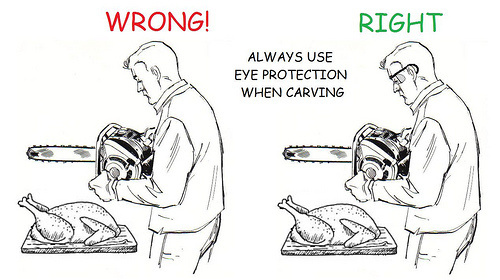 I had several people asking me about carving turkey (you use the same process for carving all poultry). Recognizing the need, I immediately set to work. 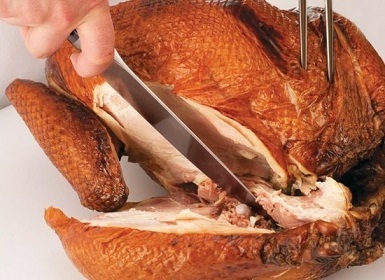 I carefully wrote instructions and descriptions and took photos as we carved a turkey. Before long I had 4 handwritten pages and a whole bunch of photographs. Whoa! All needed information but too much reading to appeal to most, I thought. Then the obvious hit me. I thought surely someone, somewhere, had already done the job. I searched the internet and found exactly what my guests needed ... still pictures and videos! 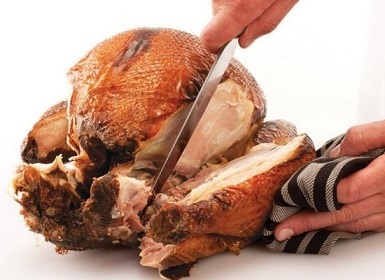 Tools needed: a large carving knife, a hefty meat fork, and a large cutting board. First we need to "section" the bird into main parts. 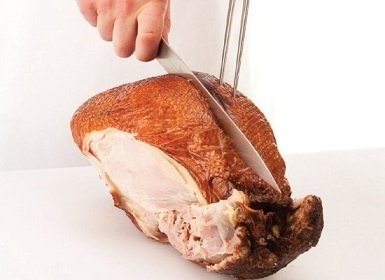 Find the joint connecting the thigh to the main body, make a slice and break it off. Do both sides. 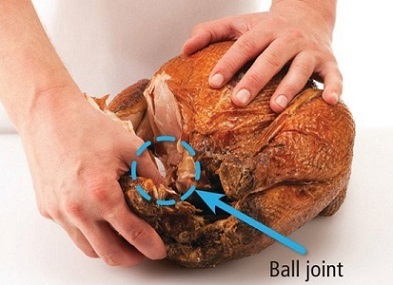 Locate the joint that connects the drum stick to the thigh and separate those parts as you did the thigh from the breast. Repeat on the other side. 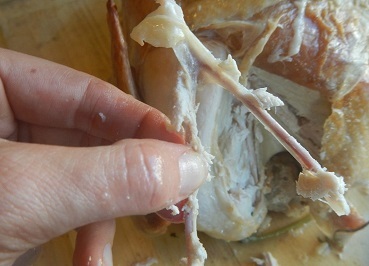 Cut along the thigh bone to separate the meat in as large a chunk as possible. 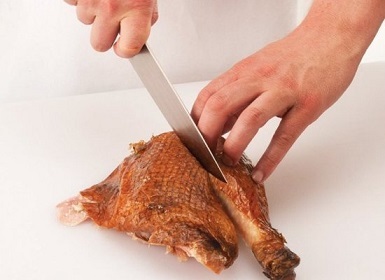 Then cut it into slices of your preferred thickness, laying the meat skin-side up. 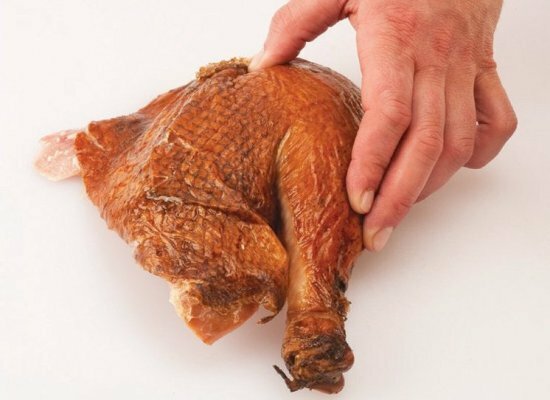 You may repeat the process with the drumsticks but I leave them whole. Someone always wants to eat an entire drumstick. Your choice. Remember how you just separated out the thighs? We're going to do that again, except this time with the wings. Now for the breast. 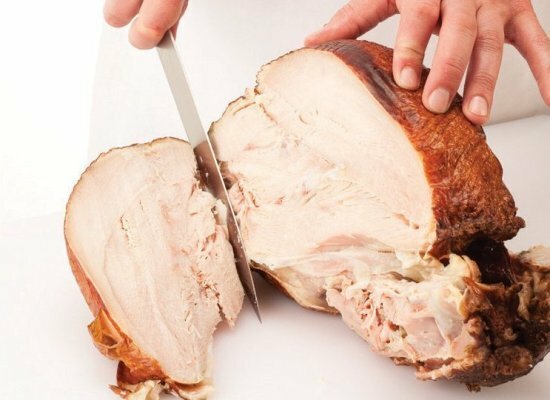 Cut into the turkey breast (both sides) as close to the breastbone as possible to separate the breast meat from the carcass. Now you’re left with big pieces of breast meat to slice into reasonable sizes. 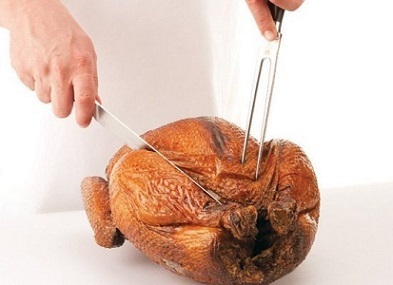 Always cut the breast last so it won’t dry out too quickly. 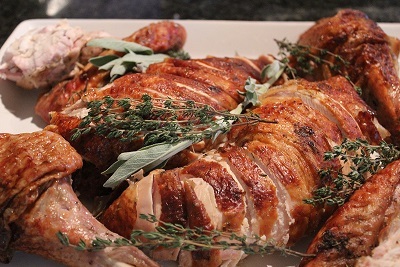 Plate the turkey and enjoy! from Whole Foods Grocery Store. And here is a very good video from the Culinary Institute of America. 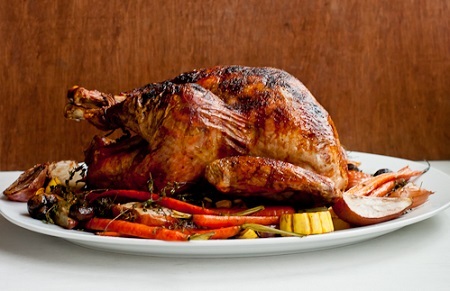 Good cooking plus good carving guarantees a delicious turkey meal - most likely, several meals. Don’t worry…you’ll do great! If my husband can do it, so can you! Dear husband, watch the videos!